Become a Certified Skincare Consultant! Everything You Need For a Successful Career in Skincare—All in One Course! QC Makeup Academy offers a variety of payment options to suit every student! Learn all about taking care of your body’s largest organ. You’ll build on skincare theory from the basics of skin type identification to conducting a skincare consultation in a series of hands-on, practical assignments. Download a Course Preview to get an inside look at the Skincare Course. 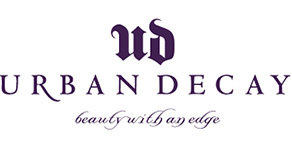 Students that graduate from QC can take advantage of the exclusive product discounts offered by QC’s preferred makeup partners. Product quality is an important part of making recommendations to your clients based on their skincare concerns! See a full list of partners & discounts. Nathan Johnson, a New York City-based celebrity makeup artist with over 18 years of industry experience is featured in all instructional videos for QC makeup courses. 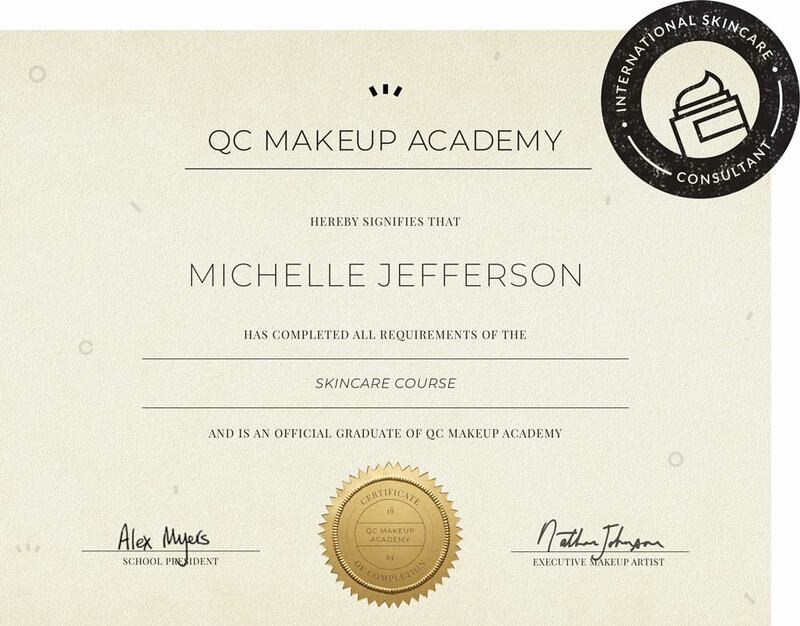 Upon graduation, you will receive your International Skincare Consulting Professional certificate. Exclusive to QC, this trademarked certification allows you to use the ISCP designation after your name to prove to top industry clients that you are an educated, trained professional. As with any job, a certificate alone will not guarantee your success. However, it is a testament to your professional education. Employers and clients are more likely to regard you as a well-rounded and highly knowledgeable makeup artist with skincare specialization. 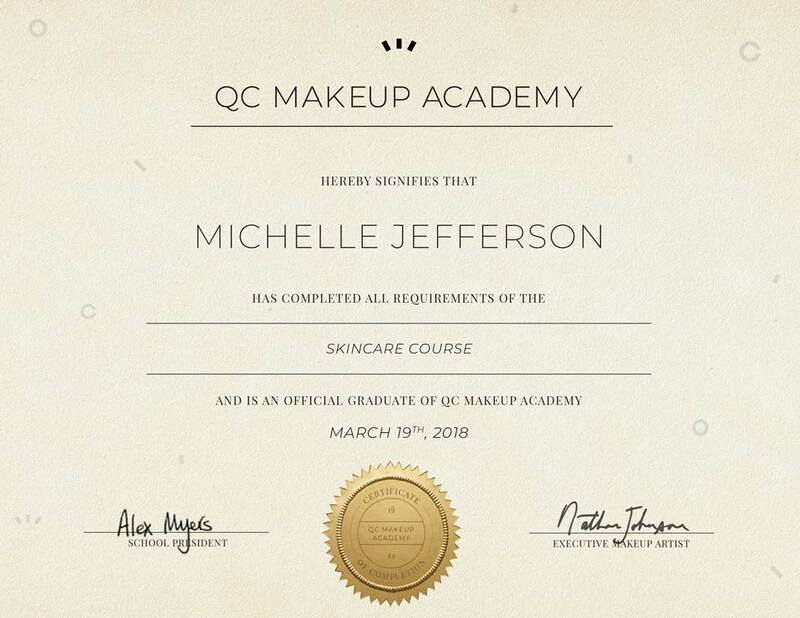 QC graduates of the Skincare course have gone on to run their own successful freelance makeup and skincare businesses and work for high-end brands like MAC, Benefit, Sephora, and many others! Start Your Skincare Career Today! It’s never too late to start a career you’ll love! 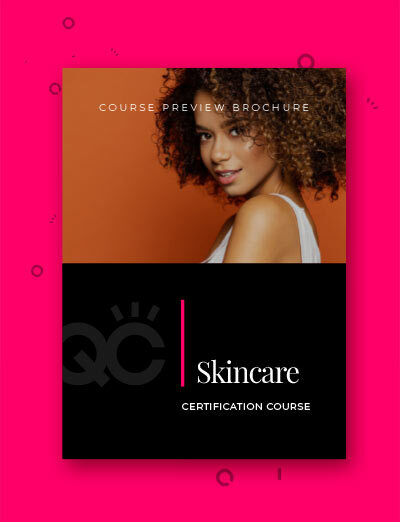 Enroll in QC’s Skincare course and begin learning advanced skincare applications to start your Skincare Consultant career or complement your makeup business!